The National cultural heritage State Castle Horšovský Týn is one of the most opened castle to the public in the Czech Republic. The castle Horšovský Týn used to be a gothic castle owned by Prague bishops and founded in the half of the 13th century. 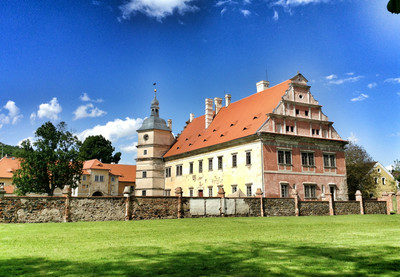 In 1547, it burned and shortly after that it was rebuilt into a fascinating monumental renaissance castle of John the Younger of Lobkowitz. From 1623 to 1945, the castle was owned by the House of Trauttmansdorff. In 1945, the castle was put under the state control. The park with an area around 40 ha, All Staints' Church in Horšov and Church of St. Anne are also under the administration of the castle.